Northwest National Real Estate: SALE PENDING! 2/3 Bdrm/1 Bath Baudette Home On Two Lots In Quiet Area Check This Out - ONLY $74,000! SALE PENDING! 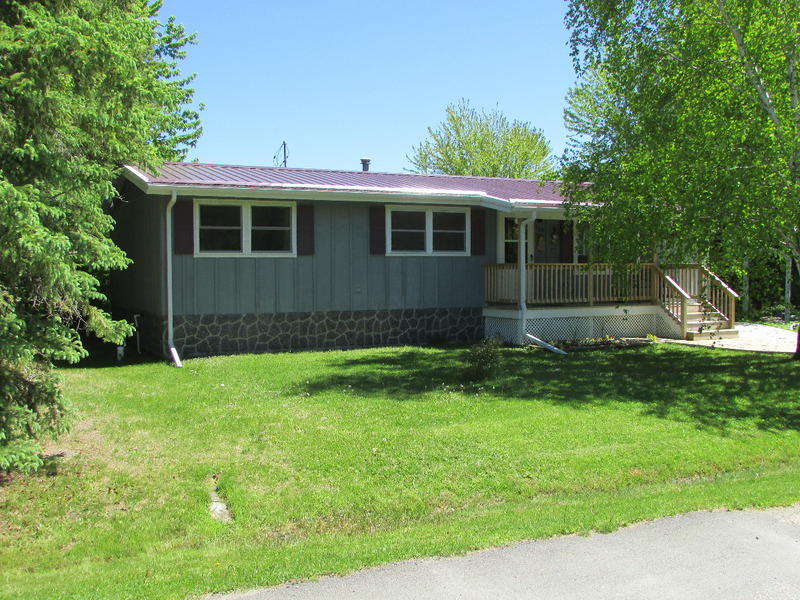 2/3 Bdrm/1 Bath Baudette Home On Two Lots In Quiet Area Check This Out - ONLY $74,000! Nicely kept manufactured home for sale located in Baudette, Minnesota! Property features a newer steel roof on both the home and garage. The home has had the same owner for the last 40-plus years. Home is 2 bedroom 1 bath and can be easily configured to a 3 bedroom by closing off one wall in the master bedroom. Home sits on a full basement with poured concrete. Heat is provided by a natural gas forced air furnace and gas fireplace. A newer 13 SEER central air conditioner has been installed within the past four years. Home has two nice outdoor decks, one off of a sliding patio door complete with a Sun Setter retractable outdoor awning and natural landscaping. A concrete walkway leads to the main entrance of the home and is partially protected by an overhang to keep the snow and ice away. Windows have been replaced with energy efficient clad double-hungs. Home comes with gas range, refrigerator, microwave, and some furniture. Seller reports low monthly energy costs. Purchase also includes an installed water softener and a stackable washer and dryer. This home is a bargain and would make a nice starter, retirement, or recreational home. Call Steve today at 218-202-1135-Priced at $74,000! !